Looking for things to do in Wisconsin? 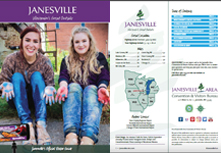 Take a tour to learn more about Janesville and Rock County. Check out downtown Janesville for options closer to the heart of Janesville.